of one or the other of these versions. Users are encouraged to use whichever Version they prefer. SORT BY DATE Sorts Pictures by Date !! 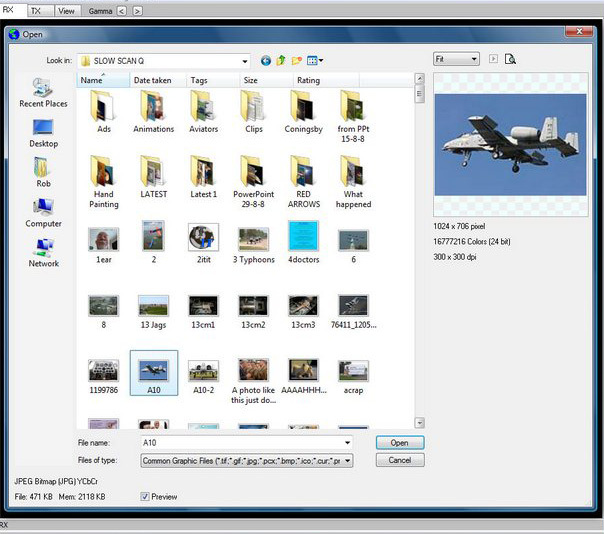 The Pictures selected will be converted and compressed into a JPEG-2000 format. The Images will be Re-named for Transmission to include the Current Year/Month/Day/Hour/Seconds when the Transmission takes place. Animated GIF Pictures can also be transmitted... with additional.. sometimes very large Transmission Time Overheads. 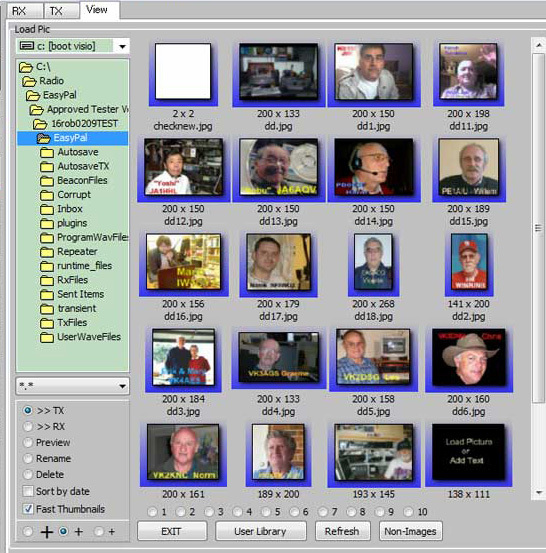 Allows you to Load Any type of file for transmission... not limited to Images. Very similar Displays to LOAD PIC. Copyright © 2019 VK3EVL.COM. All Rights Reserved.